STORM is an OEM-independent service company for combustion engines and their components. The company also offers comprehensive and professional consulting services. STORM is proud to be a medium-sized, family-owned company, and one of the largest European service and maintenance companies in the sector. With over 75 years of experience in the field of engine service, STORM is a fast, flexible and reliable company. Our customers’ high-quality installations require regular preventive maintenance to avoid costly shutdowns and downtimes. As a result, we provide site visits across the world to fulfil this service. We continuously work based on the highest quality requirements, in compliance with legal occupational safety regulations in all operating areas. Our certifications, according to ISO 9001 and SCC (Safety Certificate Contractors), guarantee independent manufacturer quality of the highest level. We ensure compliance with current standards in the areas of health, safety and environmental practices through continuous training and education of our employees. The MOBIS® mobility service system is our service solution for mobile and marine power stations. Here, we offer maintenance of diesel engines for mobile and marine power systems, as well as sales of engines and spare parts. We provide complete supervision during all phases of the project, and offer a quick and economic service, with flexible solutions during laydays available. STORM also offers consulting for repowering projects as required. The MOBIS system also includes the overhaul of engines onsite and in our plant. 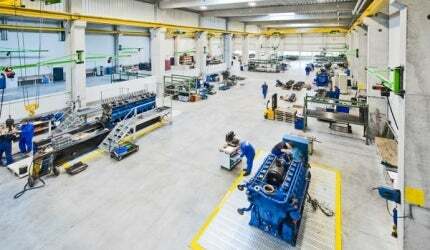 STORM provides overhaul services for marine gears, common turbochargers and industrial and feed pumps. The company also supplies spare parts and certified exchange parts to facilitate this process. STORM provides a 24/7 telephone service, so we can help our customers at any time on any day. We also offer delivery and repowering of new engines once they have been sufficiently overhauled. This service is provided with fast and flexible overnight shipping. Reconditioned engines for inland shipping and ocean shipping, stationary energy systems etc. Oil coolers, water pumps, injection pumps, pistons, cylinder heads, turbochargers etc. Operated by Europe-based privately owned luxury cruise line Silversea Cruises, the Silver Cloud Expedition cruise ship embarked on her inaugural expedition voyage from Buenos Aires, Argentina, to Antarctica in November 2017, after a two-month refurbishment.